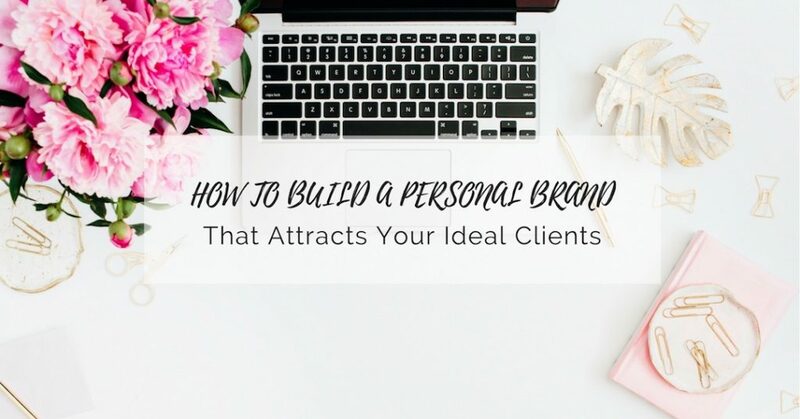 If you’re wanting to attract your ideal clients, then building a personal brand is essential. But what is a personal brand? How do you build a personal brand? And why is it so important? Here’s everything you need to know to start attracting your ideal clients. A personal brand is so much more than a logo, it’s a combination of all the experiences and feelings people have when they come into contact with you, whether that be in person or virtually through social media. It’s your reputation and what people say about you when you’re not in the room. A personal brand is made up of who you are, what you know, what you create and who you know. It is made up of the very essence of you. It is up to you to decide which parts you will combine to create a personal brand that feels the most authentic and that will resonate the most with your ideal client. Your personality, your personal story, your values and beliefs, your passions, your strengths, your physical appearance, your voice, your life experience, your skills, your unique signature method, your credibility, your education, your message, your social media, your images, your blog posts, your emails, your videos, your website, your products, your customers and clients, your collaborative partners, your family, your friends, your community/tribe. Really understanding who you are will give you the clarity you need to find out what makes you unique and enable you to be totally authentic and build a brand that fully represents you. You get to choose the elements that you feel best represent you and your business. Everyone has a personal brand, whether you are in the workplace or an entrepreneur, although not many will actually give theirs much thought. Awareness of how you are perceived by others is so important, especially if you are looking for a promotion or wanting to launch your own successful business. It is crucial for service-based entrepreneurs to build a personal brand. This should be the foundation of your business. Why is a personal brand so important? People buy people, and it is your personal brand that helps people decide if they want to invest in you or not. When you have a strong and authentic personal brand, it builds the know, like and trust factor which is so important when attracting your ideal clients. There is so much noise online, and people are being bombarded with messages all day, everyday. So how do you stand out from the masses? You have to have the confidence to be different. YOU are what makes you different and unique. There is only ONE you. When you have a clear idea about your message and what your unique selling point is and you share this in a cohesive manner in person and online, then your ideal clients will start to notice you and will want to find out more from you. Having a personal brand enables you to define your brand story, your brand message, your brand voice and your brand identity so that it is aligned and cohesive everywhere. So if someone met you in person, they would feel that you were aligned to their perception of you online. Being 100% authentic and allowing yourself to be vulnerable will ensure that you have a stand out brand that your ideal clients trust. When you focus only on what makes you unique and you worry less about what others are doing, you will help yourself stand out from the crowd. There are so many people doing the same thing and offering similar products / services that it can be so confusing as a consumer to know who to go with. It’s your story, your mission and your values that will set you apart. It is always useful to think about brands that you choose and the reasons why you like them. How do they make you FEEL? 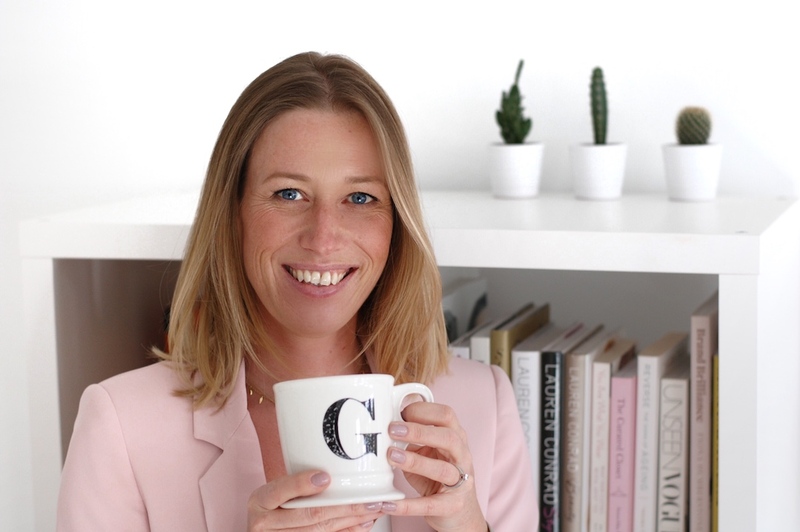 How do you want your ideal clients to feel when they think of you and your business? How to use social media for personal branding? With so many platforms available and essentially so many different touch points where potential clients come into contact with you and your business, having a coherent personal brand online is crucial. You want the look and feel of your social media platforms to give the same experience. Video using Facebook live, Instagram live and YouTube allow you connect with your ideal clients in a way which is authentic and real. This amplifies the know, like and trust factor as they see you, hear your voice and hear your message. This is a great way to increase visibility and position yourself as an expert in your niche. There has never been an easier time to grow a community / tribe where you can speak your message and offer valuable content that your ideal clients resonate with, therefore building strong relationships. When you are true to you, you attract a tribe that “get you” and who are eager to work with you. When you are true to you, your business flows with ease. It becomes joyful and empowering. When you are true to you and let your light shine in the most authentic way, you give others the courage to do the same. If you are ready to start attracting and booking your ideal clients and witness incredible breakthroughs with your visibility online, then I’d love to show you exactly how that can be possible for you. Schedule a time to talk to me so that I can walk you through your own personal brand blueprint so that you can start attracting your ideal clients consistently. Let’s create your breakthroughs and make this year amazing! !